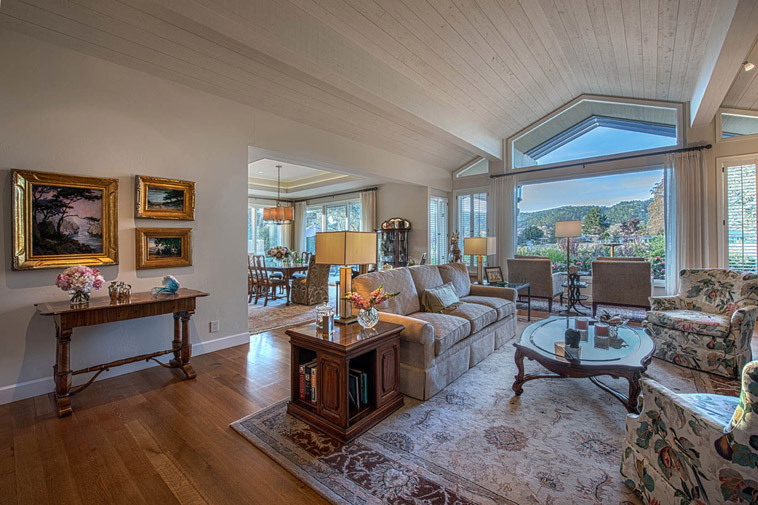 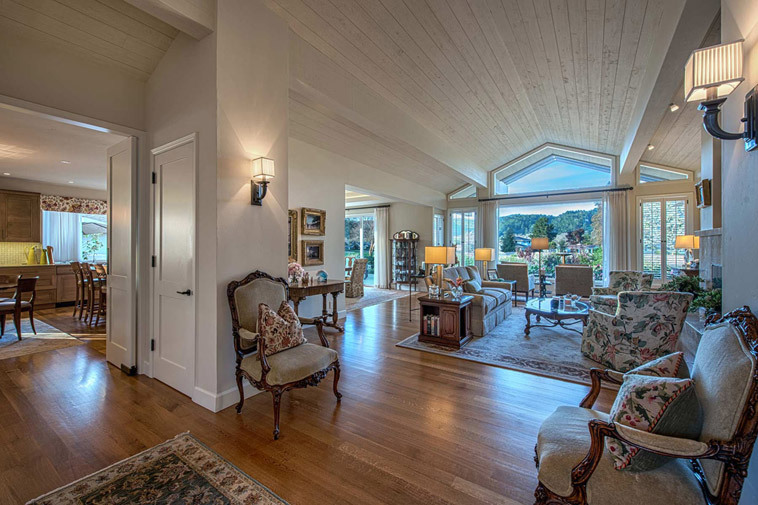 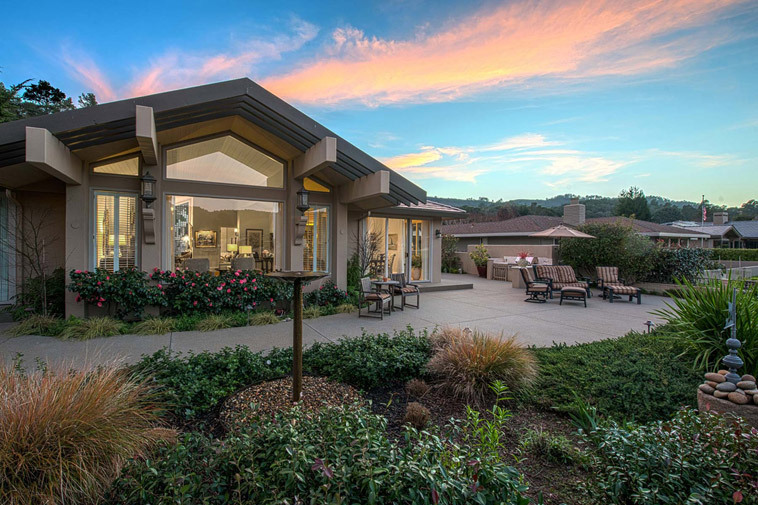 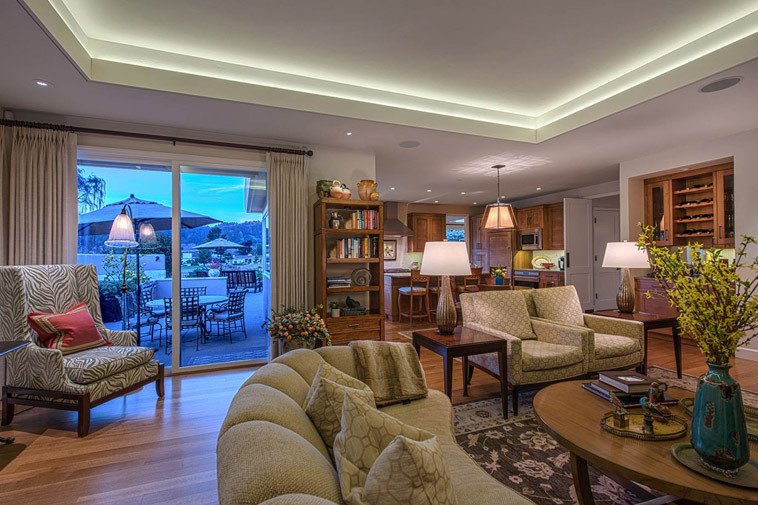 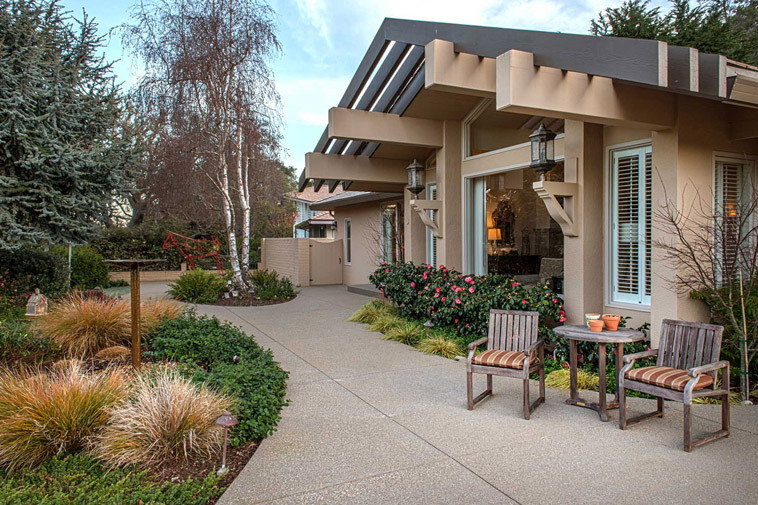 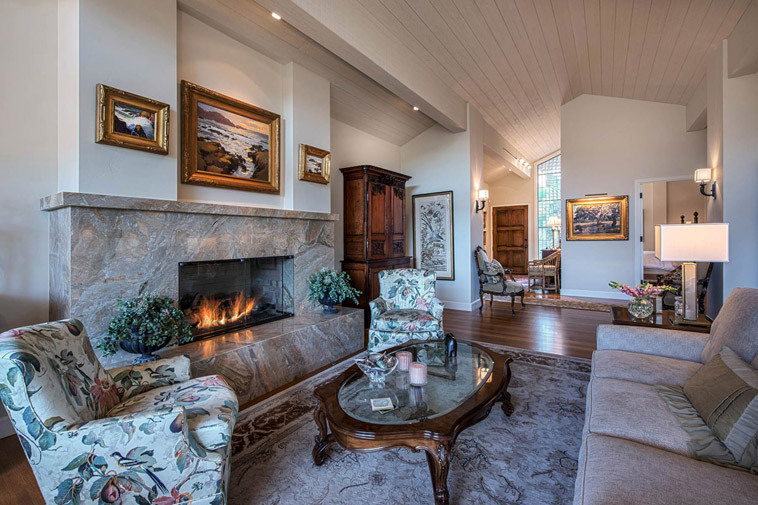 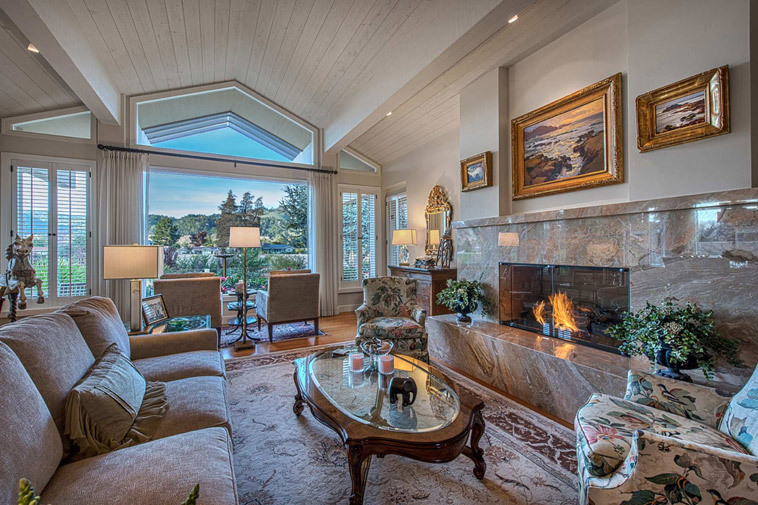 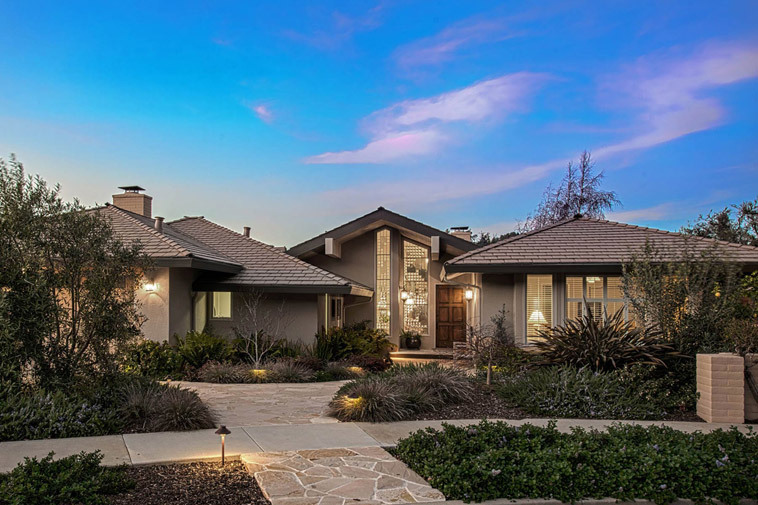 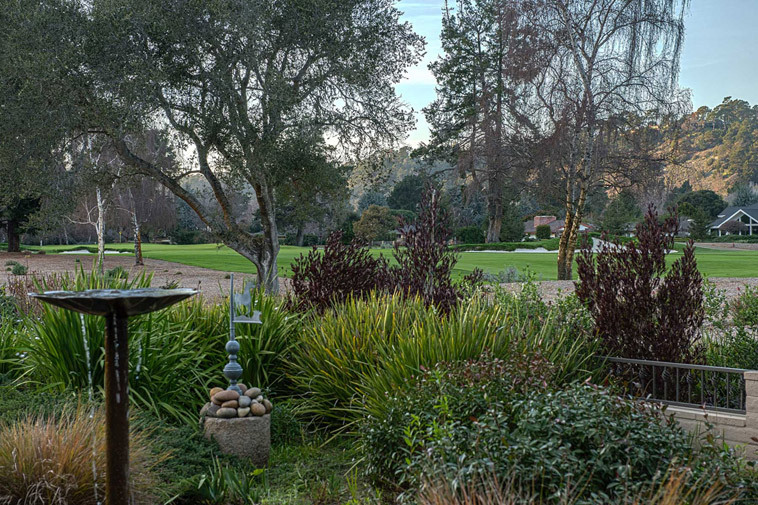 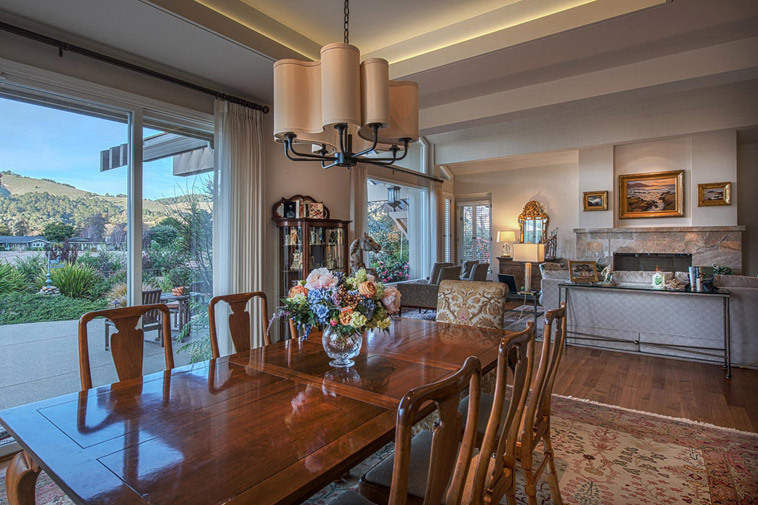 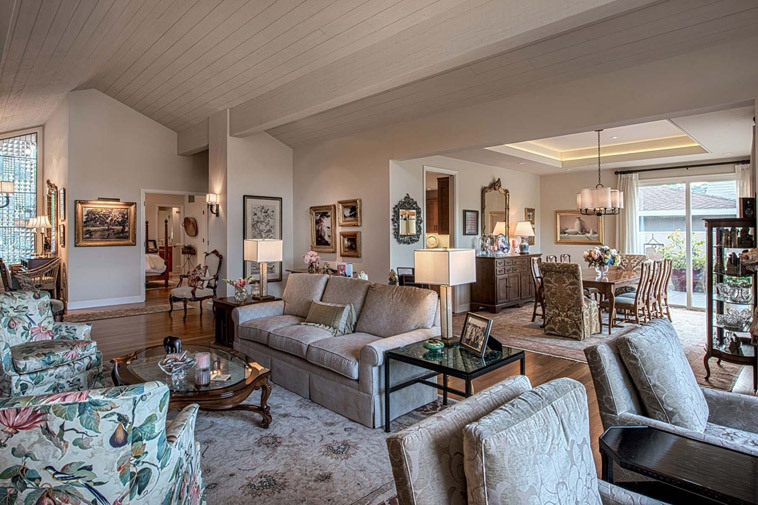 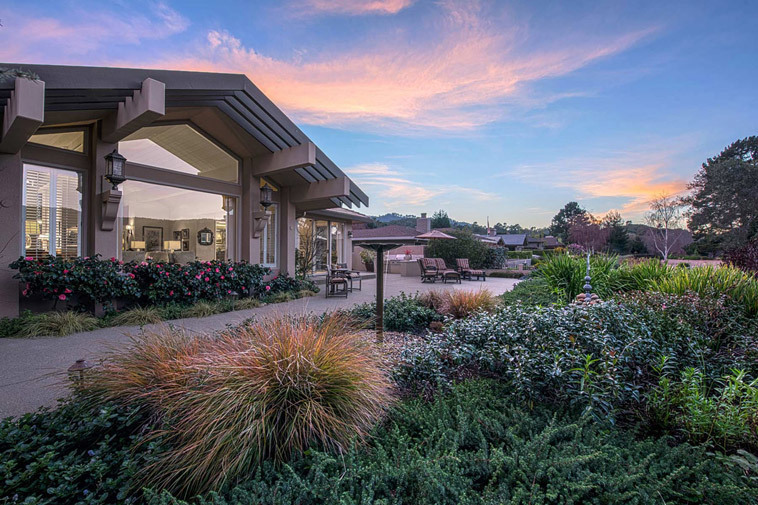 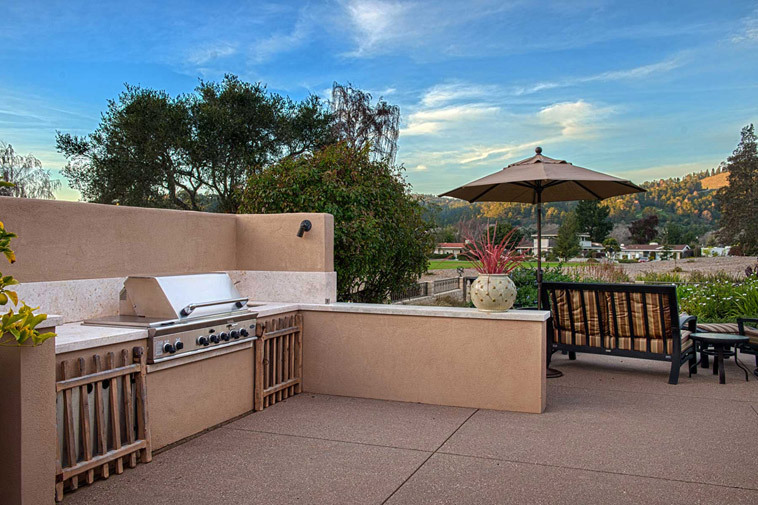 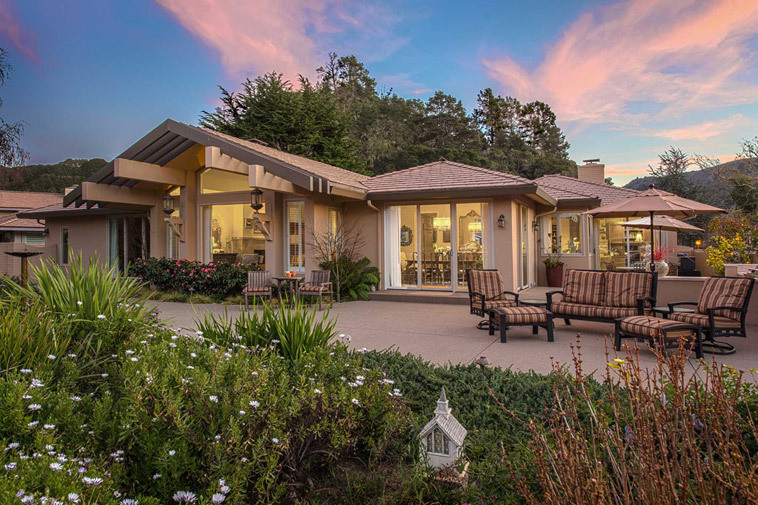 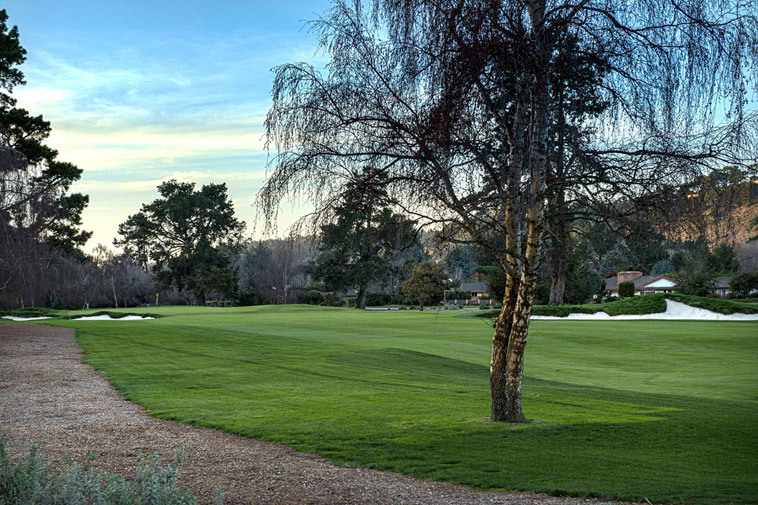 In a premier location tucked beside the 3rd hole lies one of Quail Lodge's most iconic properties with over 3,600 sq ft of living space commanding sweeping views of the golf course and Santa Lucia Mountains beyond. 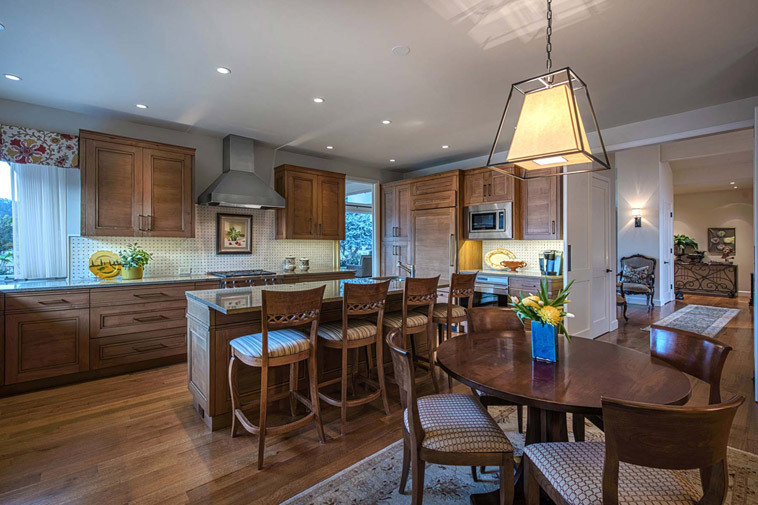 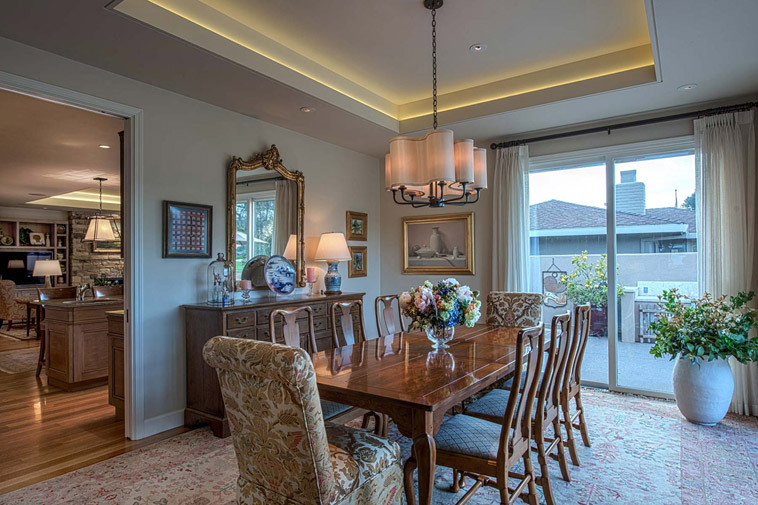 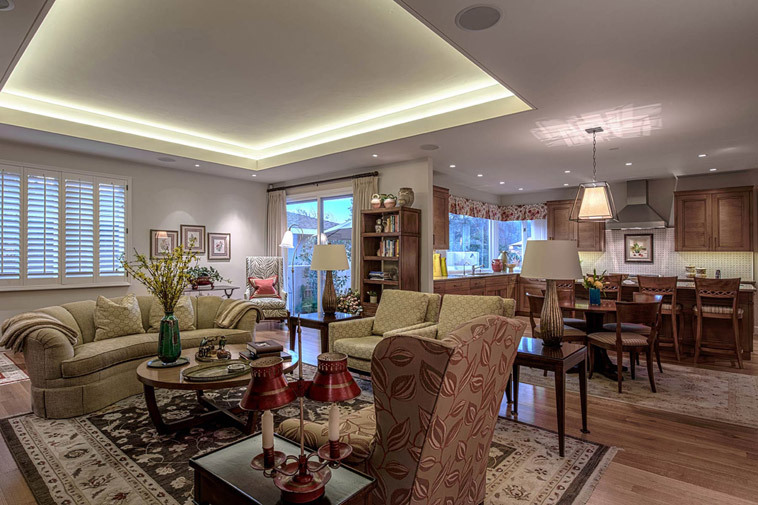 Completely remodeled in 2013 by Groza construction from inside out with no expense spared, the stunning layout includes outstanding finishes throughout. 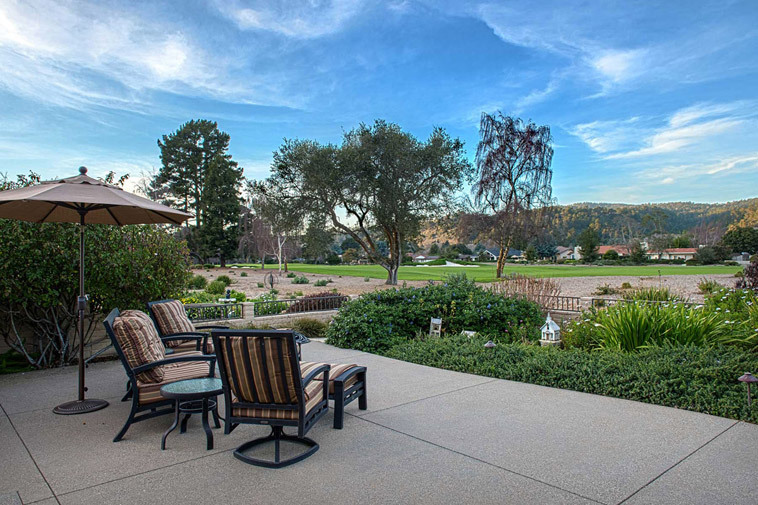 Designed with the scale and proportion of the area's finest estates coupled with the amenities and convenience Quail lodge residents covet. 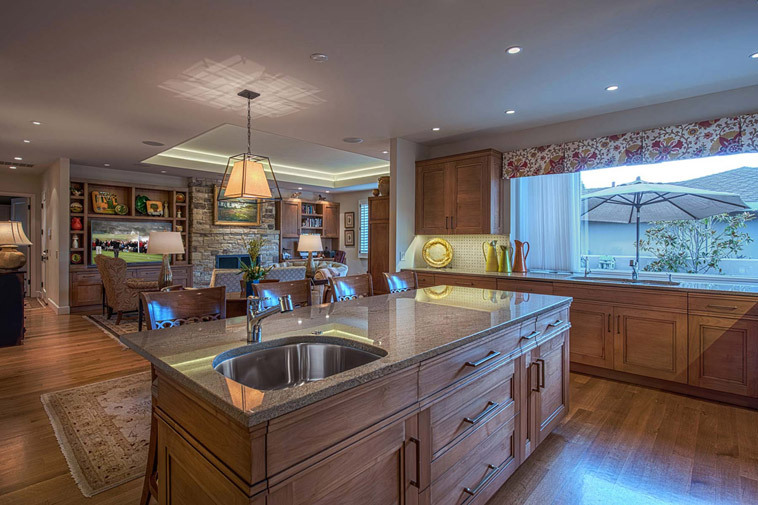 Fall in love with the exceptionally large eat-in kitchen fitted with Wolf and Sub Zero appliances and adjacent generously proportioned family room with custom built-ins, raised, tray ceiling and cozy Carmel stone fireplace. 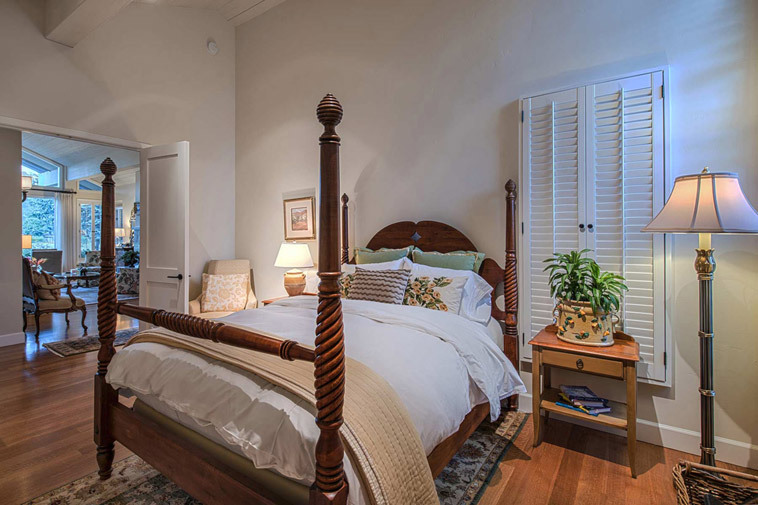 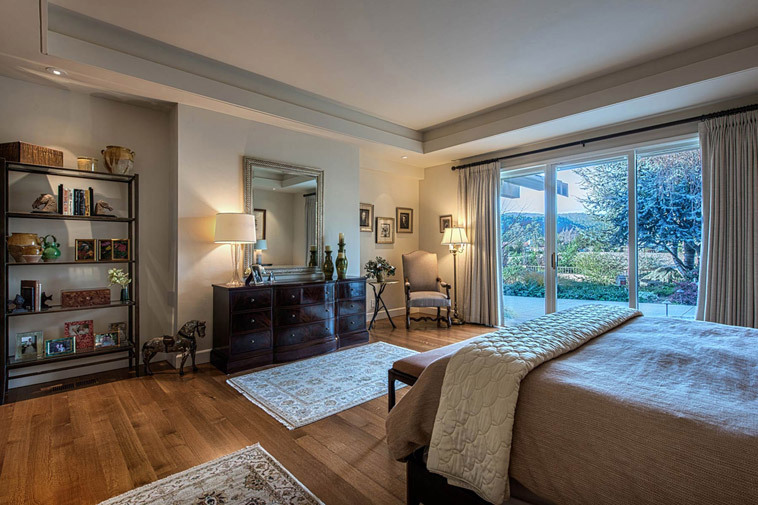 Romantic and alluring master suite displays a soaring trayed ceiling, stone fireplace and his/her walk-in closets. 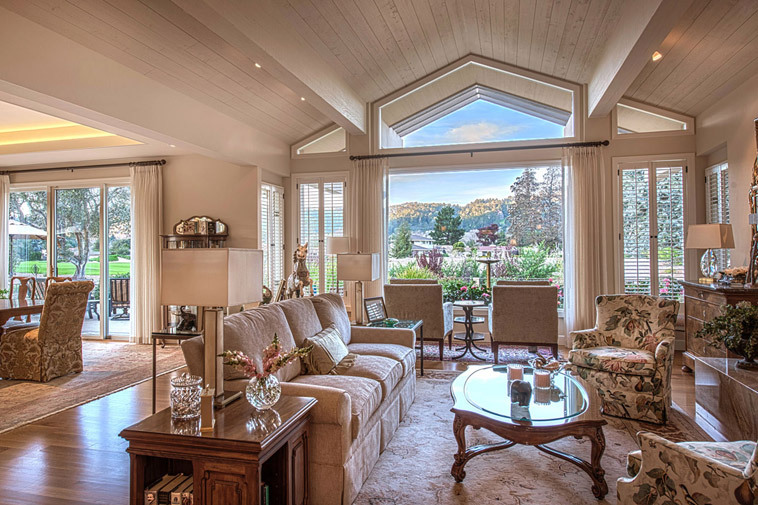 Immense windows in the living and dining rooms bathe the house in sunlight providing classic golf course views. 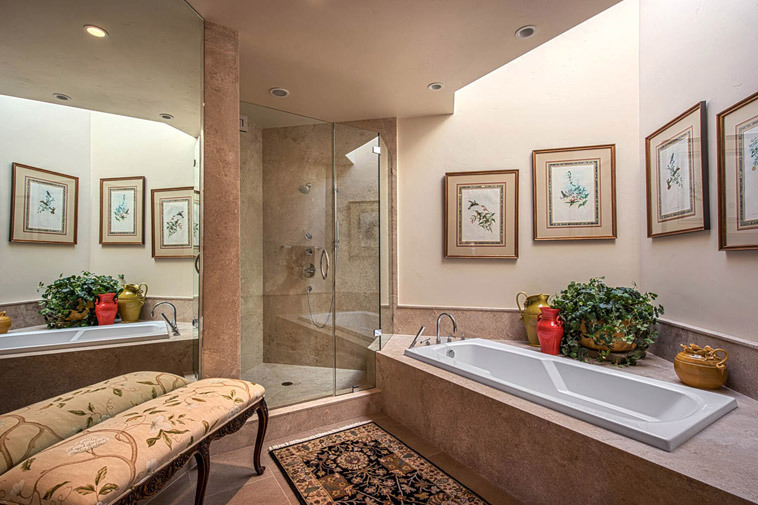 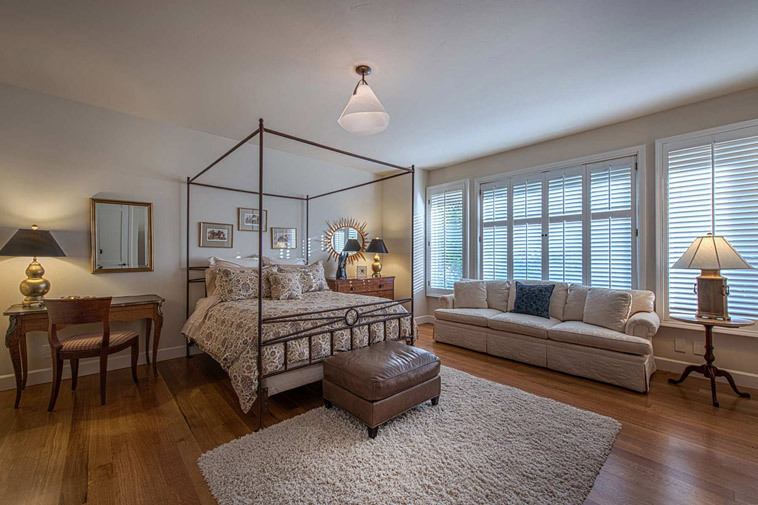 2 sizable additional en-suites located for privacy and comfort create a luxurious yet comfortable environment to entertain family and friends. 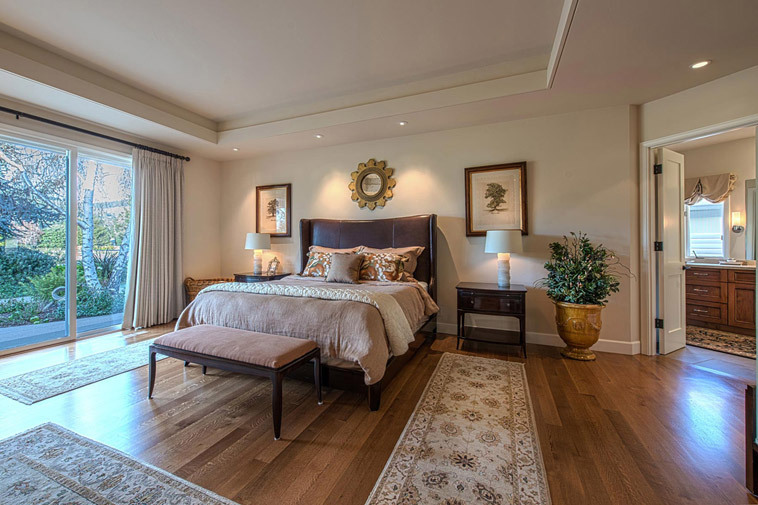 The properties aesthetic inspired by well-appointed rooms spilling onto sun filled terraces with panoramic golf course views creates an immediately warm and inviting ambience. 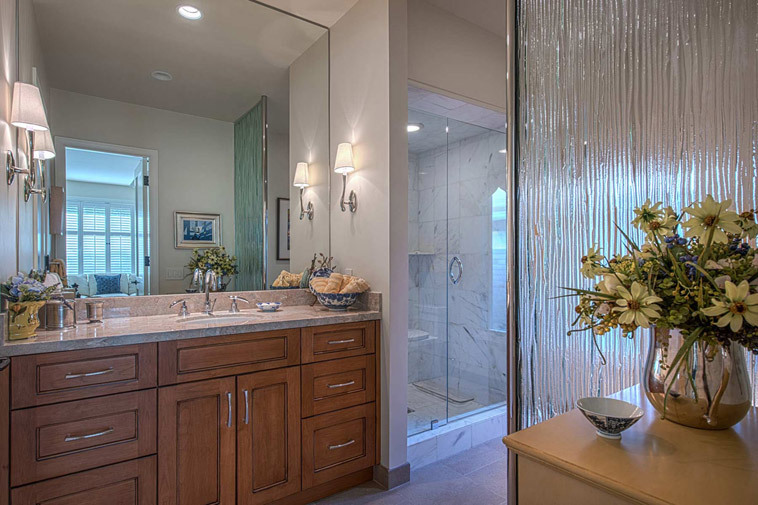 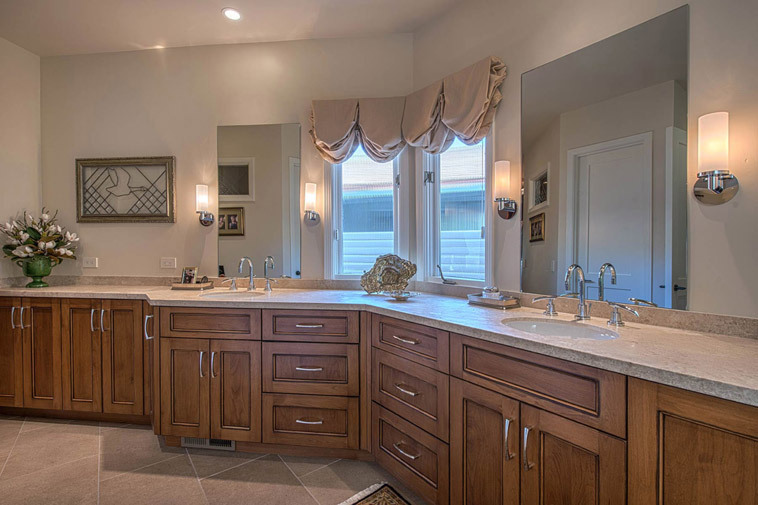 Handmade Italian tiles, custom made 8' doors with bronze hardware, lead glass windows by renowned designer Masaoka represent only a few of the exquisite, thoughtful, custom finishes typically envisioned only in the finest estates.